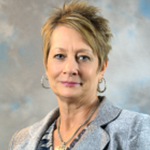 Donna DeLong joined Premier Community HealthCare Group, Inc. as the Chief Financial Officer in 2003. Prior to joining the organization, DeLong served as a staff accountant/CPA for several firms in Florida. She earned her undergraduate and graduate degrees from Saint Leo University. DeLong is a proven leader in the fields of healthcare management, financial and strategic planning. Her areas of expertise include: business expansion; health center construction projects; complex business and tax issues; budget development and project management. DeLong’s leadership role as CFO of Premier Community HealthCare includes monitoring and the development of financials, payroll, accounts receivable & payable, billing, facilities, and multiple renovation/expansion construction projects. Under Donna’s leadership, the financial management process transitioned to a paperless system and receivables decreased by 70%. The operational budget increased from $5.6 million annually to $14.5 million, noting an increase in staff by more than 200% and an increase in patient services by 61% since she joined the health center. She is a results-oriented leader with a laser-like focus on achieving optimal results. Top priorities this fiscal year include improving administrative operations, a continual focus on maximization of reimbursement streams for the patient population to sustain health center operations and potential growth. While the healthcare landscape changes and the demand for patient care increases, DeLong is well positioned to ensure that Premier Community HealthCare effectively balances expenses with its revenue streams while delivering high quality healthcare for growing consumer and community needs. As DeLong continues her tenure, she will work to initiate, develop, and direct financial operations to provide quality, affordable, and accessible healthcare for all. Hamic Jones Hamic& Sturwold, P.A.